When you’re choosing athletic headphones, you care about athletic features. You want them to be lightweight enough that you don’t feel like you’re hauling around cargo. You don’t want to feel like there’s some wire flapping around you with every motion you take. In a word, you want something that’s unobtrusive. And then there are the things you want from all headphones. A high level of comfort, audio quality, and durability are some of the most important elements of good design. But appreciating these kind of elements means getting involved in the details. Do they offer protection against ambient noise, like the sounds of weights being thrown around in a gym? Are there calling features available? It takes a closer look to really understand what you’re getting. People have no shortage of options for athletic headphones. Nearly every major audio manufacturer has some line of headphones which are more or less suited for athletics. Often times, these are ordinary headphones that have simply been re-branded for athletics. But in other cases, you find headphones which are extremely well suited to be worn during activity. And that includes the Treblab N8 Extreme Sports Bluetooth Headphones. The N8 have every fundamental feature you want out of sports headphones. From noise protection to audio quality, they’re an extremely well rounded pair of headphones. The only things lacking are the kind of premium features you’ll only be able to secure at a much higher price range. But considering one of the key features of the N8 is its inexpensive price, adding those features would be missing the point entirely. The Treblab N8 are exceptionally lightweight, weighing about 0.04lbs. Their build is primarily composed of aluminum and silicone. Even compared to similarly-sized Bluetooth headphones, the N8 feels essentially invisible when you’re used to wearing it. The N8 uses a common build design where one earbud connecting to another through a short silicone cord. That cord is intended to be worn behind the neck, with each earbud resting in the ear canal for a secure and comfortable fit. Aesthetically speaking, the N8 are simple to the point of being generic. They’re supposed to fit and match with the majority of your other devices, and that’s precisely what they do. They’ll otherwise not stand out while being worn. Moreover, one of the N8’s best features can’t be seen at all. Part of what helps keep the N8 secure and steady while you’re doing physical activity is magnetism. 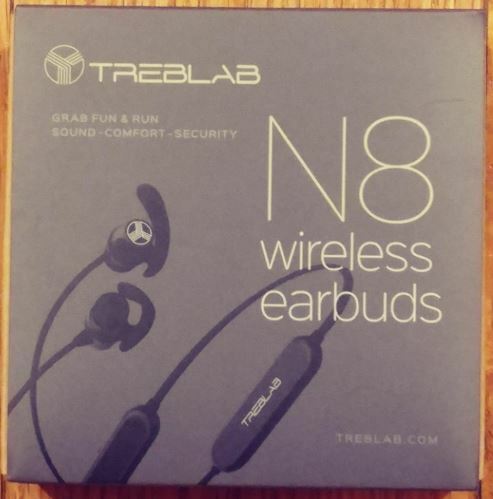 The Treblab N8 uses ear-tip magnetism to help keep the N8 secure on you while moving, without having to resort to the use of heavy material components. Consequently, those small magnets contribute to the relative weightlessness of the N8. Sometimes, headphones being easy to wear means they’re easy to lose. It’s extremely annoying to have one of your earbuds pop out during exercise, and even worse if you can’t immediately find it. Whether you’re taking a walk around the block or you’re climbing Everest, the N8 are built to stick with you. Whatever activity or motion you get involved in, they’re built to stay on your body for as long as you want them there. 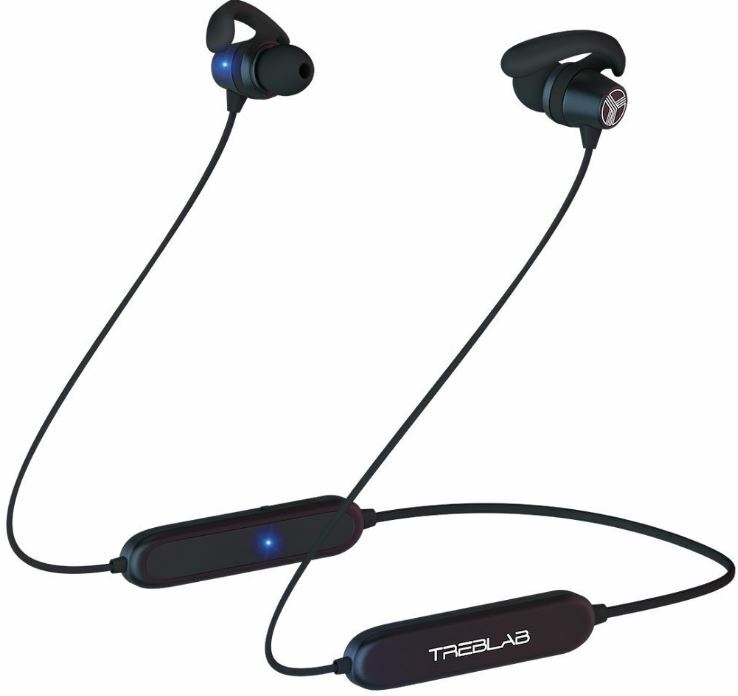 The Treblab N8 Extreme Sports Bluetooth Headphones are built with a IPX5 waterproof rating. That protection makes the N8 are well-shielded from rain or sweat. You don’t have to worry about taking them off just because the weather changes on you, but you wouldn’t want to take them for a dip in the pool. The IPX5 waterproof rating suggests the N8 might survive a being dropped in a puddle, but are unlikely to endure any lengthy period of submersion. As far as portability is concerned, the silicone-based build of the N8 makes them exceptionally flexible. You can roll the N8 up and keep it in your pocket or throw it in a bag, and the cord is sturdy enough that you don’t have to worry about your equipment easily breaking. Short of intentional abuse or a severe accident, the N8 are built to last. With a little care, you can expect two or three years of steady use from the N8. Relative to their cost, that’s a fairly strong value. The N8 includes ear-fins in three sizes. Having several sizes included allows you to select the perfect fit for your individual ear. That’s important because while most people have ear canals of the same size, about one in five people defy the norm. 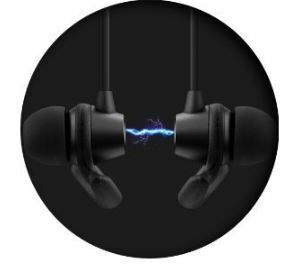 Consequently, many people end up feeling that no earbud-type headphones will ever be truly comfortable. That’s because if manufacturers have to pick one size, they’re going to choose the size that matches most ears. Multiple ear-tip size options are the only way to get around that problem, but it’s not a solution you see in many inexpensive headphones like these. Two of the included ear fins are built to provide passive noise cancellation by better sealing off the ear against noise. That means you can use ear-tips appropriate to the kind of listening that you want to do. For jogging down a noisy city street, you’d probably want to use the noise isolation fins. While watching TV alone at home, the open-design fins can allow you the N8 to produce a more spacious and natural soundscape. Whether you’re among the average for ear canal size, the multiple sizing options means you can almost certainly find a customizable fit. More importantly, the individual fit of the N8 is what allows such a great match for athletic activity. It doesn’t budge while you’re jumping, running, or making sharp motions. After you’ve worn them for a few seconds, you can forget they’re there and get started with your workout. They’re designed to fit in your ear and stay there until you’re ready to call it quits. Small headphones are made from small headphone drivers, typically with sizes around 14mm. From an audio engineering perspective, making a dynamic driver at 14mm is a challenging task. Bass tones are going to unavoidably suffer, but can generally be supplemented with boosted bass and other EQ setting adjustments. Mid-tones and high tones can be done well, but may face their own unique problems. It’s fair to say that the Treblab N8 has exceptionally well-rounded mid-tones. That makes them great for listening to vocal-based music, watching TV, listening to podcasts, and taking calls. The bass is about average for inexpensive earbud headphones. And the N8 is lacking the bass boost you’ll find with similar headphones from companies like Sony. But if you have an equalizer app on your phone, you can get around those problems entirely. The microphone on the N8 is about average. Athletic headsets aren’t usually where you’ll find high end microphone features or business quality call clarity, especially without paying hundreds. One nice thing that can be said about the N8’s microphone the interface is easy to use. Just tap the HOME button to answer or hang-up a call. Using call assistants like Siri is just as simple. And there’s nothing to stop you from pairing the N8 with TVs, Android devices, and essentially anything that’s Bluetooth enabled. Furthermore, the N8 supports hands-free calling with Windows, Android, iOS. They support Bluetooth 4.0 for a smooth high quality connection, fast discovery on the network, rapid pairing, and overall pristine sound quality. Additionally, they provide solid connectivity for up to 38 feet with no interruptions between you and your signal. Battery life is something that depends on your various conditions. You’ll be able to listen to podcasts at 50% volume for much longer than you can listen to high-frequency electronic music at 100% volume. Even being in a cold environment can have a significant impact on battery lifespan, which can be pertinent for anyone doing their exercise outside in the morning. With those caveats in mind, a good estimate for the battery life of the N8 is about nine hours. And for the purposes of working out, that’s more than enough. For taking to the gym or exercising at home, it’s unlikely you’ll ever run into problems with the battery. Unless you’re involved in a multiple-day marathon, the N8 is equipped to last through your toughest workouts. The N8 Extreme Sports Bluetooth Headphones don’t come with much in the way of extras, but you do get a USB charging cable for recharging your headphones. That cable is little more than four inches, making it convenient for carrying along with you as necessary. 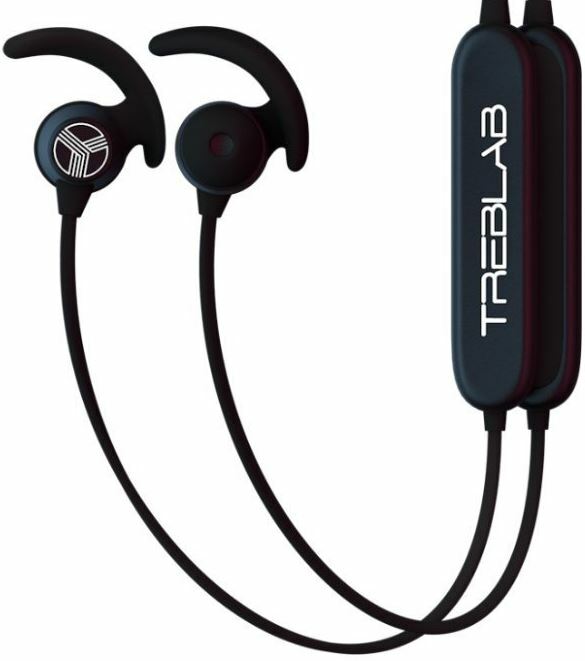 The Treblab N8 also includes a 30-day return policy, which is a nice protection to have on headphones. Headphones can be a personal thing, sometimes they fit perfectly, and sometimes you hate them for reasons you can’t put your finger on. The 30-day return policy is well appreciated for that reason. Furthermore, Treblab offers a 1-year warranty for people who do end up liking what they have to offer. Who Should Choose the Treblab N8’s? 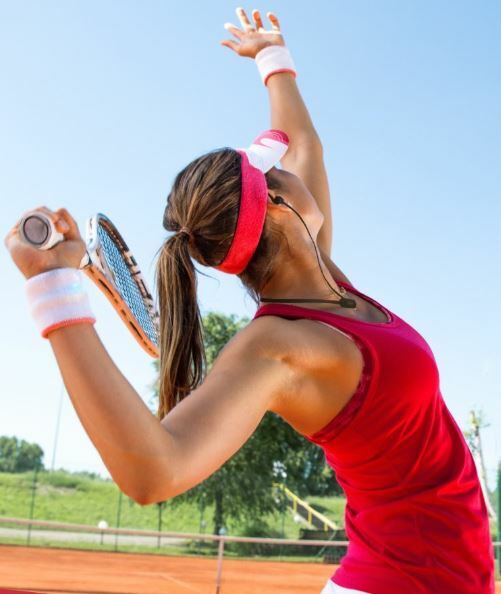 People doing athletic activities typically can’t get by wearing ordinary Bluetooth headphones. Athletic headphones are specifically designed for to be worn on people undergoing physical activity. That means they won’t pop off your head, won’t die from sweat or rain, and won’t prevent you from enjoying your music in noisy environments. 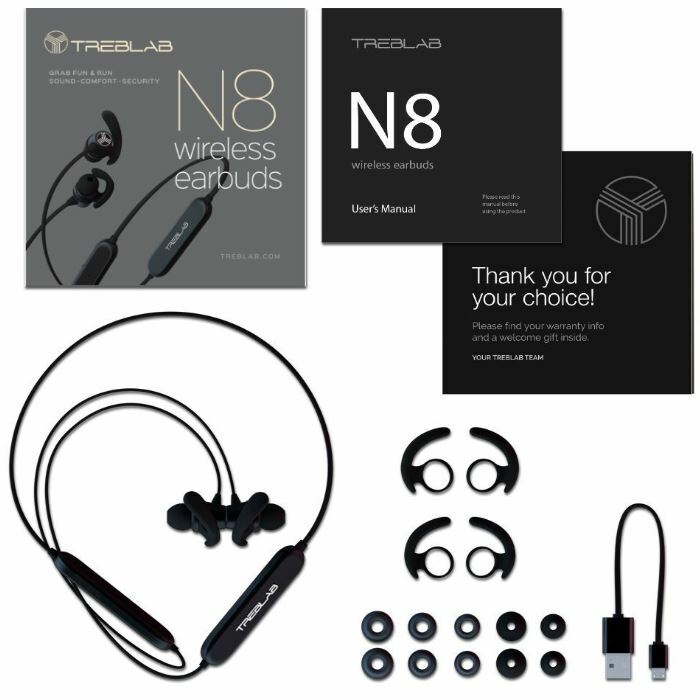 And for budget-oriented athletic headphones, the Treblab N8 Headphones are an exceptional choice. If you’re willing to spend far more, you can get fancy features like active noise cancellation. But at this price point, you won’t be able to find better option for waterproof athletic headphones. The N8 have an above-average battery life and range of connectivity, which is a mastery of the basics you want on any good pair of Bluetooth headphones. And they guarantee a level of comfort that one size fits all headphones cannot. If you’re not willing to spend closer to $100 on athletic headphones, the N8 is worth picking up. Relative to its price, you can’t beat its features.